The classic Double Slipper cast iron claw foot tub adds a vintage touch to your home bathroom. With timeless styling and ornate tub feet, this tub will provide warmth and durability because of its cast iron construction. With 7 in. faucet drillings on the tub rim, the tub filler can be mounted directly to the tub. Add an incredible antique look to your bathroom with this stunning claw foot bath tub designed with quality and comfort in mind, with it's smooth finish inside and out you will spend hours in your new tub soaking your stress away. 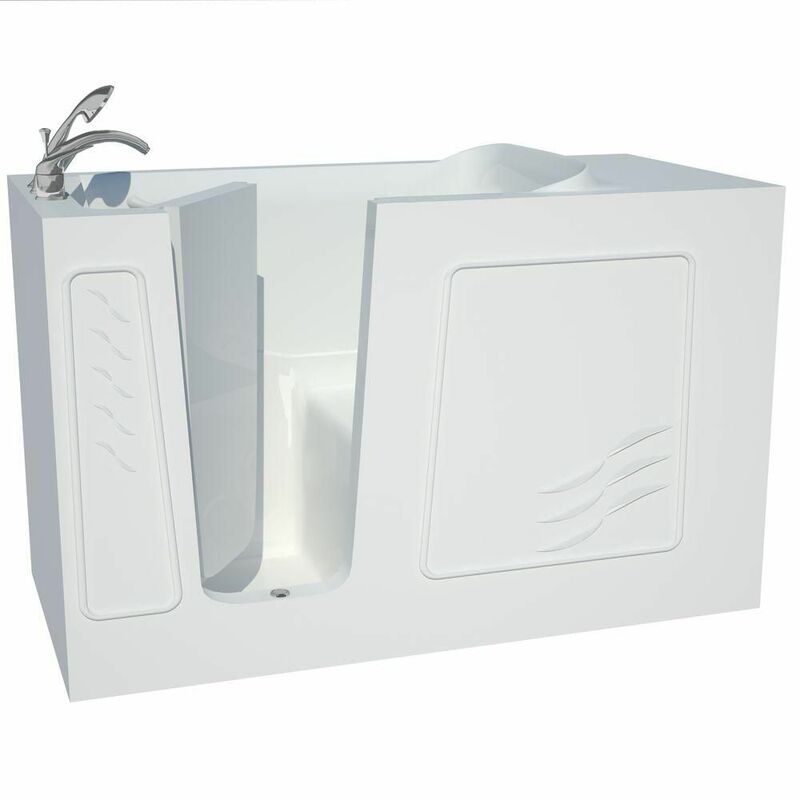 5 ft. Left Drain Walk-In Bathtub in White The 5 ft. Left Drain Walk-In Bathtub in White provides a safe and independent bathing experience in a cost-conscious package. Using the latest in tub-crafting techniques and industrial-grade materials, this fiberglass walk-in tub from Universal Tubs offers an impressive array of features to melt away your worries and aches. With an ADA-compliant moulded bathing seat, safety grab bar and low-threshold entry, this tub offers the convenience and peace of mind needed for bathers of all ages to truly enjoy a luxurious soak. 5 ft. Left Drain Walk-In Bathtub in White is rated 4.7 out of 5 by 3. Rated 5 out of 5 by Sweetlaraine from So happy with my tub. Can enter and exit very easily. So happy with my tub. Can enter and exit very easily. Rated 4 out of 5 by Benn from Nice tub. Very pleased with the hardware that came with it. Extremely unhappy with the directions as there basically were none. One would think that a $2600 tub would have some decent instructions with it but that is not the case. The instructions covered 16 different models and even that did not include the model that I purchased. I called the factory and they told me that the model number of my tub was the same as another tub. What? You're supposed to be a mind reader?. No directions only two small pictures to guide you.